As you already probably know, I’m a diet food junkie. I like trying new healthy food trends like diet delivery and juicing. 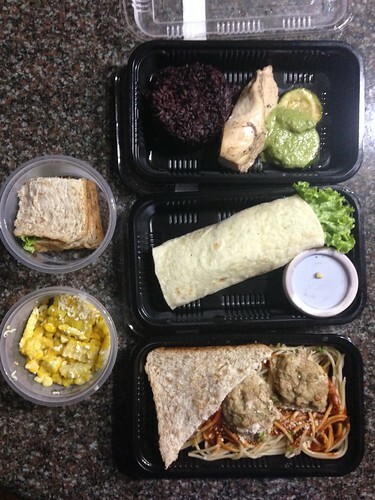 So when I got a 1-Week plan to try Fit Food Manila, I got super excited. I’m a veteran to these things and it would take a lot to impress me. 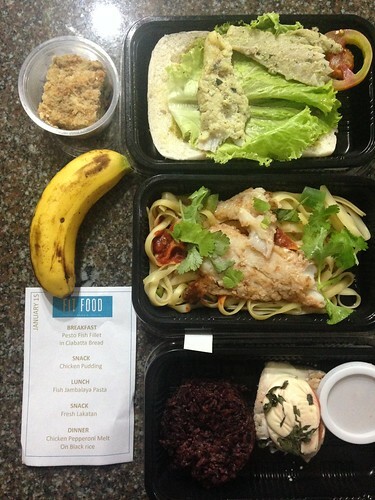 What is Fit Food Manila? 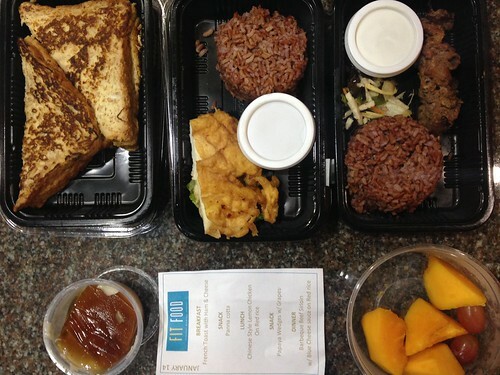 They, are a food delivery service that provides 3 meals and 2 snacks a day for five days. 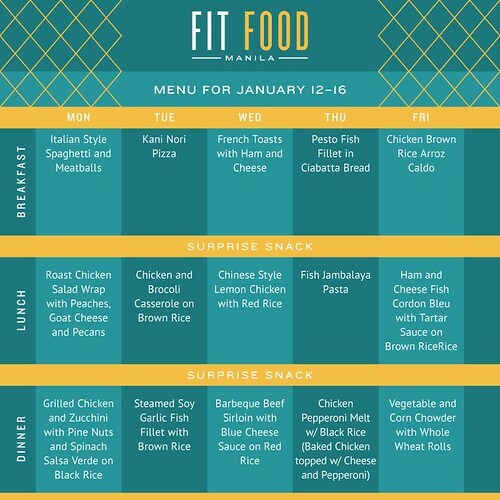 This meal plan is 1,200 calories and will cost you a total of Php 1,850 + Shipping. Not bad, I thought. Though honestly, when it comes to these things, we can talk about price and quantity all we want but the proof is really in the taste. Portion Control, stabilized my metabolism and stifled my cravings. 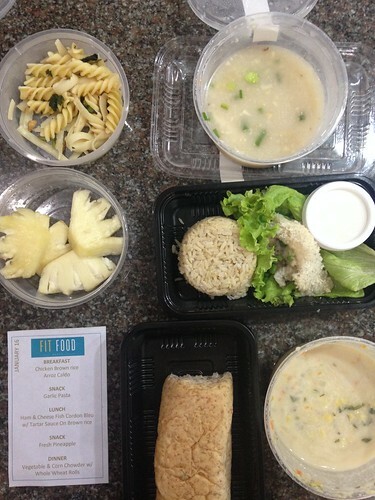 The food is not bland and has healthy doses of sweet treats (fruit or fake pannacotta) which satisfied my sweet tooth. Here are the photos of my daily meals. They don’t look that good but after a quick pop into the microwave, they’re good to go. – The rice (black, red or brown) is the only one that does not heat up well in the microwave. I haven’t yet figured out how to heat it up yet maintain a semblance of softness because otherwise it just tastes like cardboard. – The snacks do not always have a sweet (as in a dessert-ish snack) and I wish they would. – The portion sizes sometimes threw me off. The breakfast pizzas for example were tiny compared to breakfast spaghetti. That threw me off a little bit. – Lastly (and most importantly) – These meals have some “guilty ingredients” such as cheese, cream dips, regular pasta (instead of whole wheat), . There’s not a lot of veggies. This made me question how healthy the meals are because I guess in my mind diet food is all veggies, whole wheat, no creams, no cheese, etc. BUT moderation and balance is key in losing weight. Deprivation is the worst so I guess these “guilty ingredients” aren’t too bad since they’re so miniscule in portion anyway. 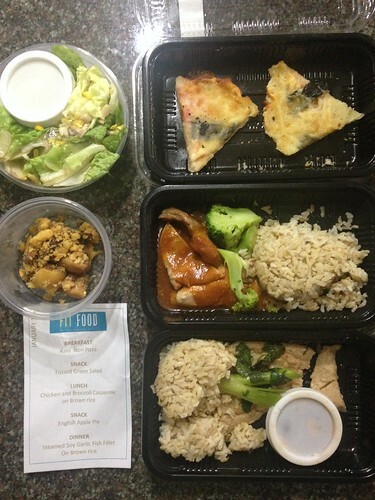 Pictures are shown Breakfast (top), Lunch (middle) and Dinner (Bottom). Both snacks are on the side. Meal Favorite – Vegetable Corn Chowder. I can have this all day. This day was a little weird because they had the lugaw for breakfast and the soup for dinner. All liquids. Strange. Check out our Pumpkin Risotto and Gluten-Free French Toast recipes and tell us what you think! Happy cooking, foodie!